At the bottom of this page I will add other videos dealing with the shadow self as they are published. The mandala is a magic circle that aids contemplation. 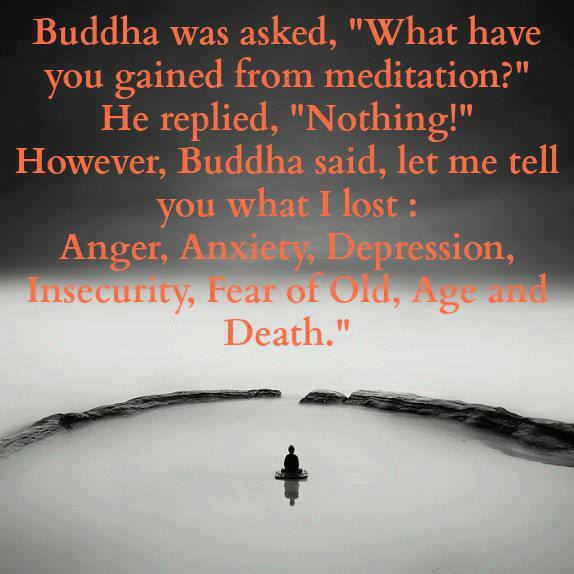 It is used to focus the mind for meditation. Focus your attention on the center.  Try zooming in. Click to enlarge Mandala by C.G. Jung He called this type of drawing "the squaring of the circle." 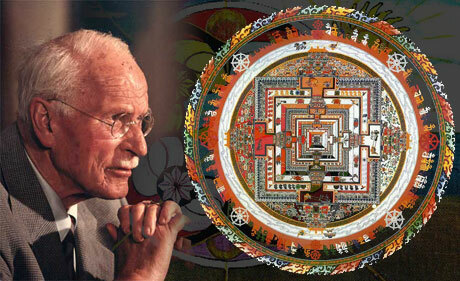 Carl Jung perceived the mandala to be an expression of the self (soul?) and that everything headed towards this center. To Jung, the self, this center to everything was the archetype of meaning (or the archetype of wholeness) and through this center was its healing function. For Jung, the inner images that come to us from the unconscious are messages from our essence. To follow this path to our center is to follow the path of inner transformation—individuation. See the April 7, 2011 Dream Dragon Blog. Jung realized that like the mandala designs that he was drawing, his own life had been a series of meandering paths that bent back upon each other and always led back to the center. The mandala symbolically represents one's path to the center (Memories, Dreams, Reflections, Vintage books, 1989, pg. 196). Jung had his patients spontaneously create mandalas using these as effective tools in his psychiatric practice. The Mandala, or in Sanskrit, "Circle" is used to focus the mind so as to create a sacred space and sometimes to induce a trance-like state. In Tibet sleep is like a mini-death, a practice for the real thing. That time between death and rebirth is when the soul is in a transition state (the bardo) and is similar to the state between deep sleep and dreaming (the Clear Light of sleep). When asleep, the soul is conscious with a profound clarity, peace and understanding. Tibetans, unlike their western counterparts consider sleep a conscious time, even a super conscious time. This super consciousness is the ideal state for meditation. Tibetan Buddhists think that like sleep, meditation is a form of nourishment for the body. To them the boundaries between dreaming and meditation are blurred and the goals and results are similar as are the brain-wave patterns as well as both leading to a better understanding of the self. And it's not just an enhancement for our own understanding, because in a 2005 study on the effects of meditation it was found that meditation can increase one's gray matter in those parts of the brain that deal with sensory processing. This would enable us to become more conscious of our surroundings. Meditation, or deep self-reflection, has been with us throughout our history and may very well have been a survival skill. Meditation can also be used as a means for understanding one's dreams. Jung believed that messages in dreams could be found if they were to be examined carefully, but today's analysts suggest that even the process of writing a dream down can lead to an understanding of it's meaning. I've found that the process of "free associating" (a form of meditation) by allowing images to come to mind regarding a dream can allow for self-revelation. In the Christian tradition the Rosary, Celtic Cross, the dromenon on the floor of Chatres cathedral and the Rose stained glass windows in many churches can be seen to serve the same purpose as the mandala. Many religions and subsects of these religions support the meditative process in some form or the other as a means of tapping into the spiritual and literally thousands of books have been written on the subject of mediation and dreams so why isn't the practice more wide spread? Meditation can take place even when taking a walk or exercising. It's done when you quiet the chattering of the unfocused mind and begin to notice what is happening around you and within you as it is happening. Too often during exercise it's a matter of just getting through it. There are many times in life where the task is boring, or burdensome, where we feel compelled to just get through it. A technique called "mindfulness" can open up a whole new world of awareness. Interestingly hypnosis, hypnogogia, and day dreams also tap into the same imaginal source that feeds both meditation and dreams. They are, however, more akin to meditation in that the mind is in the same state of energy when the images associated with each float to the surface of the consciousness. I think part of the answer to the question of why the practice of meditation or the interpretation of dreams remains on the back burner of most self-development regimens is that 1) It's too hard, 2) It's too time consuming. Our culture looks for easy fixes—a pill, a diet, the ultimate work-out machine. And it all needs to happen within 10 days, or your money back! "I haven't got time for this s@#t! ", "How do I know this will work?" "What do I get for my money?" "Prove it!" These last three comments are perhaps the most insidious especially the "prove it" type because it deflects personal responsibility and permanently places the ball in someone else's court. Many years ago at a seminar I presented at some conference, I can't remember which, I was confronted by a person who wanted to know if the concepts I was talking about had any research validity. It was evident that the ideas I was presenting were discomfiting to this person's sense of reality. But I had come prepared for such a question and rattled off a couple of studies that had been done with Yogis and Buddhist monks. This seemed to satisfy her and at that time satisfied me as well. After all it got this person off my back! Since then I've come to realize that I might have done both of us an injustice. For me, it was a safe answer and it protected my ego (which of course reinforced that part of me the least capable of seeing reality) and by giving her data to support the spiritual quest, I thought she received solace, but I might also have given her that which would serve as an obstacle. I gave her something to feed the very thing that might prevent her journey from progressing, i.e. her mind and by extension, her ego. "Reason is what engenders egocentrism, and reflection strengthens it. Reason is what turns man upon himself. Reason is what separates him from all that troubles him and afflicts him. Philosophy is what isolates him and what moves him to say in secret, at the sight of a suffering man, 'Perish if you will; I am safe and sound.'" He is talking about moving outside the safety zone of living inside your head to explore the realm of the heart, spirit, and soul. In order to experience life I need to allow as much for the depths of life as for the heights. The wisdom is found in experiencing whatever life throws at me. Yes, life is dangerous and there's no real defense against it, but to grow—to touch who we really are—we just have to acknowledge this and go out into it anyway. From time to time I will share a meditation on this page that I think will be helpful. ‎"You begin by breath control, by breathing to certain paces, and the breath is very curious ... The notion is that emotion and feeling and state of mind are related to breath. When you are at rest, the breathing is in a nice, even order. When you are stirred with shock, the breathing changes. With passion the breathing changes. Change the breathing, and you change the state." "Whether or not you practice formal sitting meditation, or strive to be aware in everyday moments, consider: Meditation consists of two processes: One is insight — paying attention to what is arising. The other is surrender — letting go of attachment to arising thoughts. As Lao Tzu said, 'As soon as you have a thought, laugh at it!'" Every morning I get up early, walk outside, and face the rising sun. As I do so I close my eyes and quiet the mind saying only, "Good morning" and quietly listen to the world both about and within. I then turn to my left facing north and again give the greeting, "good morning". I keep turning toward my left and repeat the greeting at each of the remaining compass directions until I return to the east and face again the direction of new beginnings and new potentials and repeat one more time, "good morning". Over time I have added the following chant: "Earth am I, air am I, fire and water and spirit am I" Each phrase aligned with my breathing beginning with and outward breath to the Earth, an inward breath to animate, then an outward breath to power and passion and the spirit that gives life. Sometimes I add the powerful chant: Jesus Christ, Son of God, Have mercy on me" and then repeat while ending with, "Have mercy on us". I am then prepared for whatever the day may bring. Find a quiet place where you won't be disturbed for 20 minutes or so, then sit in a comfortable position with your back supported (I sit on the floor with my back against a sofa), close your eyes and imagine all the tension in your body draining out through your feet. Chant a short repetitive verse, whether a hymn or some part of a favored song, over and over until it feels right to stop. Stay in the silence, listen to the silence, be with the silence, allow for whatever comes out of the silence. A "Mani-wheel", or Tibetan prayer wheel, translated as Om mani padme om. *Don't sweat the pronunciation. The magic isn't in the words, it's in the repetition and the focus. •O Lord here my prayer, O Lord hear my prayer. When I call answer me. O Lord hear my prayer, O Lord hear my prayer. Come and listen to me. Or any chant you're familiar with. Repeat until it feels right to stop and then listen to the silence. Try these chants alone in a forest. Sing to the trees and fill the spaces with your sound. Let the sound of your song permeate as you sing to the soul of the woods, then end your song and listen to the song of the forest. Listen to its many voices without trying to either describe , or label. Listen to your soul sing back to you in response. Call (chant) to it again and receive the response. Call to it as often as you feel your heart moves you to call and then listen to the response. Call without self-consciousness, call as though you were in the safety of your own mind. Give your attention to the forest and open your arms to its love. "Forest chanting" reflects some of the foundations of Ecopsychology, a word coined by Theodore Roszak in his book The Voice of the Earth (1992). In his work, Roszak points out that though modern man has been programed by the unnatural environment he's in, the natural environment in which he evolved has laid down certain adaptations and that we have a natural instinct (the biophilic instinct) to emotionally connect to nature. He suggests that psychotherapy itself should be removed from the closed offices and performed out in nature such through a walk in the forest, or a stroll through a city park. Western man has cut himself off from nature, preferring to control it than to be part of it. This in itself can produce psychological distress. Unconsciously, humans suffer anxiety as they continue to destroy the natural environment around them. There are many cultures that embrace nature, Aborigine, Buddhist, Hindu, shaman, Amazonian, some American Indian, and any nomadic and subsistance based cultures to name a few. Other forms of the Ecopsychology philosophy can be seen in Gaia psychology, transpersonal ecology and ecophenomenology. Stand quietly for a moment before your mirror, open your hands, palm up as though to receive a gift, empty your mind, and look deeply, lovingly, and compassionately into the eyes of the person reflected. Try to forgive him, or her, all their judgments and criticisms of you. 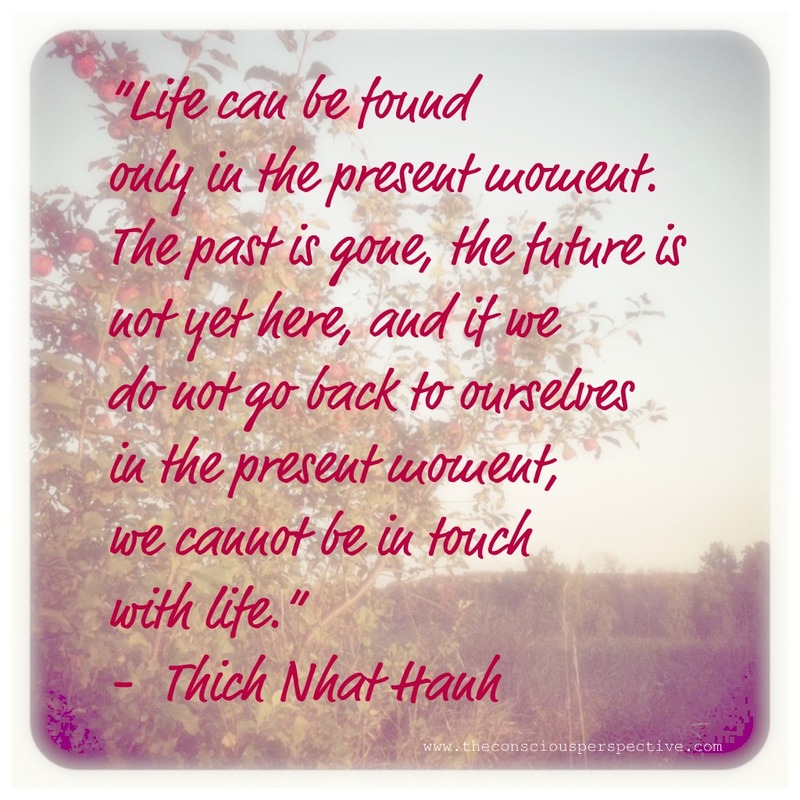 Pause, and take a few moments to do this…. There is an amazing spirit watching through those eyes, smiling, and knowing. Knowing you as nothing else knows you. Knowing that you came into the world complete, whole, with nothing left out, and perfect. For a few moments just imagine the truth in that…. Now try to remember why you’re here–not just standing before the mirror, but why you’re in this world at all. Chant softly “Why am I here?” “Why am I here?, “Why am I here?”, “Why am I here?” deepening with each repetition and listen with no editing. It’s that first thought that floats to the surface, no matter how trivial, small, or hugely big that is often the answer to the inner query. It’s only the ego-self that is judging the thought; the Self has no such judgments. For the Self, everything makes a difference, everything is important and it’s why you’re here. You might write it down quickly because the ego-self likes to fade to unconsciousness right about here. Be aware that you’ll probably have to do this several times in your life because the ego-self is easily distracted and is constantly chasing squirrels and its own tail in the belief that the catching will bring true happiness, unless of course chasing squirrels and tails is your true purpose, then chase with intention and abandon–never do anything passively i.e. participate in your life, don’t just be the audience. Here's a meditation that is designed to introduce one to their shadow self. It is a guided meditation and can be watched on the following link of The Archipelago of Dreams Facebook page from August 1, 2013. Down in the cave of the human mind where reality stops being reality lays the world of the dream. It is here that the mind's inner eye perceives a fantasy much richer in form and function than the theater of the waking world. Some say that to live more authentically and to be more alive, one needs to deal with their hidden aspects, their shadow nature. The following meditation is designed for those who are ready to work with their shadow nature. Find a quiet place to sit, a place where you will not be interrupted for the next 15 to 20 minutes. Take with you a journal and something to write with as you will later be needing it to write of your journey. Light a candle and set it before you. A black candle works wonders, but any candle will do. Focus your attention on the candle flame for a few moments, then let your focus soften just enough that the flame seems a little less distinct, a little hazy. As that happens and when you are ready, slowly close your eyes and begin to transfer your focus onto your breathing. Watch the air go in and out of your lungs. It doesn’t matter if you breathe through your nose or your mouth, just breathe normally and watch the breath go in and out. Now imagine that you are at the top of a long winding staircase that leads down into the darkness. Take a step down and continue on for as long as it takes to arrive at the bottom. At the bottom, you will see a long corridor cut from the rock of the underground. Though it is dimly lit, you can see your way along its length. Keep walking until you come to the end. At the end of the corridor there is a huge wooden door adorned with rusty wrought iron straps and large wrought nails. Notice what you are feeling as you stand before this mysterious door. What’s behind it? There’s something hiding there and it’s been there for ever so long. Now reach out and grab hold of the huge wrought handle and pull the door ever so slightly open. Smell the ancient air stirring behind it. Now, with all your weight and strength pull open the door suddenly to reveal what is there in the darkness before you. Regardless of what image is there (and know that even darkness itself is an image) stand before it bravely and ask it what it is. Listen for its answer (and take whatever you get). When it’s finished and if it hasn’t already done so ask what it is that it wants from you. Listen patiently for the answer. When it’s done, ask it what you can do for it and listen carefully to what it says. When it’s finished ask if it has anything else it wants you to know and note its answer. Now, thank it for its time and bid it a good day then close the heavy door and return down the corridor (notice if anything has changed in it since you first walked down). Then climb back up the staircase to where you began. When you’re at the top, slowly open your eyes and let them rest upon the candle. When you are ready, stretch your neck and back muscles and come fully conscious into the room feeling refreshed and rested and ready to write down the particulars of what you have experienced, leaving out no detail and including all feelings, sounds, and smells. You have now met a shadow. It is part of you, though you may have long rejected it or forgotten it was there, and it is as much you as any of the rest that you embrace and want in your life. It can serve you, as well as any other part if you will but let it. Below please find the video meditations on the "Beginning Work with the Shadow Self".